Fossil fuel energy use accounts for more than two thirds of greenhouse gas emissions. Earth observations can be used to increase the global share of renewable energy sources such as solar and wind power, in combination with energy efficiency, to help limit a further rise in global temperature, in line with The Paris Agreement. GEO will advocate the value of Earth observations, engage communities and deliver data and information in support of Energy and Mineral Resources Management by enhancing the discovery, development and sustainable production of mineral and renewable energy resources; in order to facilitate substantial increases in the share of renewable energy in the global energy mix, through usable, actionable information on resource assessment, monitoring and forecasting of intermittent energy sources, including solar, wind, ocean, hydropower, geo-thermal power and biomass. Exploiting the full potential of energy resources is of critical importance to all countries. This trillion-dollar economic sector includes coal, oil and gas as well as renewable energy sources such as solar, wind and hydropower. Key concerns for both governments and the private sector include reliable access to energy, the efficient management of energy resources, improved technologies for stabilizing or reducing greenhouse gas emissions, and the need to report energy emissions levels to the UN Climate Change Convention and other bodies. 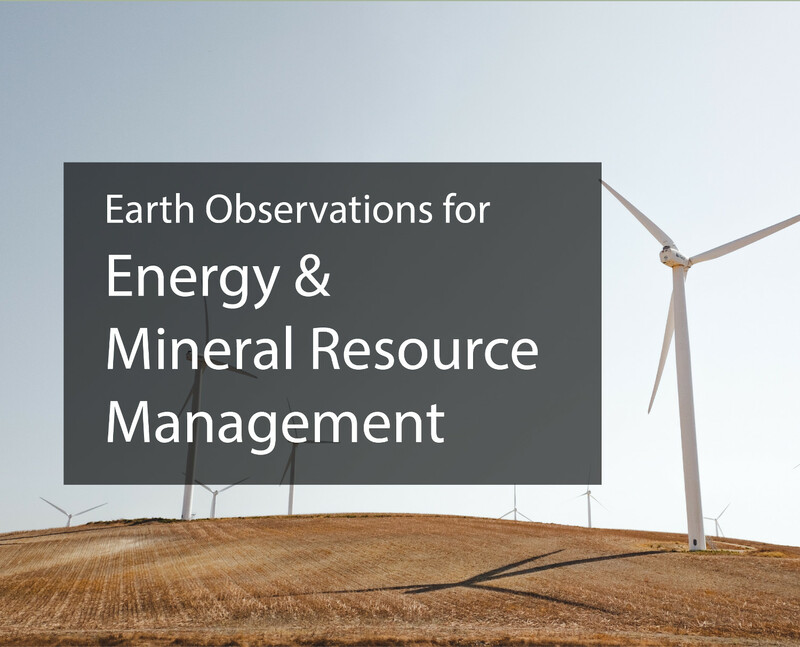 The Global Earth Observation System of Systems is helping governments and companies to manage energy resources more effectively. GEOSS provides the information they need for evaluating the potential for producing renewable energy and assessing the risks and potential of carbon capture and storage systems designed to reduce greenhouse gas emissions. GEOSS also provides data and information for monitoring and forecasting fluctuations in hydropower, solar, ocean and wind energy sources; assessing and predicting the environmental impacts of energy exploration, extraction, transportation and consumption; reducing weather-related and other risks to energy infrastructure; matching energy supply and demand; and informing other aspects of energy-policy planning in both developing and developed countries.